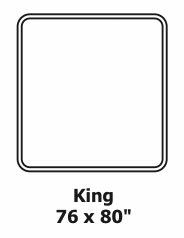 An overview of standard U.S. mattress sizes and bed styles. 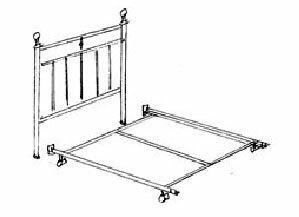 Most decorative beds and metal bed frames are designed to use a foundation/boxspring to support the mattress. 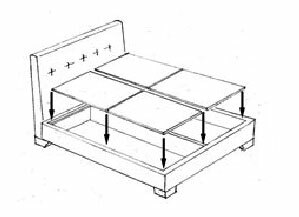 Platform beds do not use a foundation and have mattress support built in. Recommended foundation for our mattresses is 5" tall. 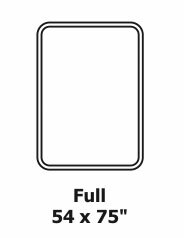 An optional 7.5" tall foundation is available. 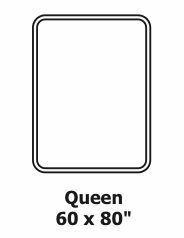 Twin, Full, Queen foundation length/width are the same as the mattress. 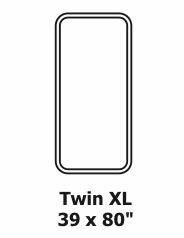 King size mattress uses two (2) Twin XL foundations. 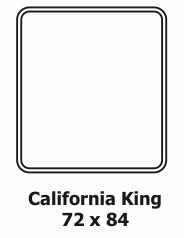 California King size mattress uses two (2) 36x84" foundations. 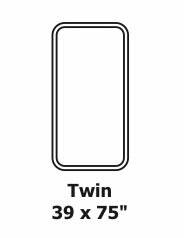 Queen size has option two (2) 30x80 foundations (call). 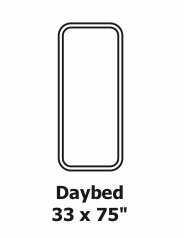 Beds include headboard, footboard (or front panel depending on model) and rails. Mattress, foundation or boxspring and bedding are NOT included. 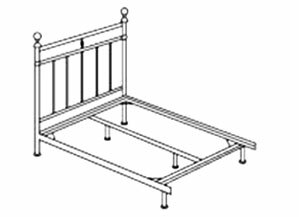 Open Foot Beds include headboard and frame rail system. 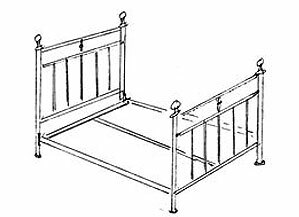 Headboards alone is made to fit standard metal bed frames. Platform Beds include an upholstered platform. 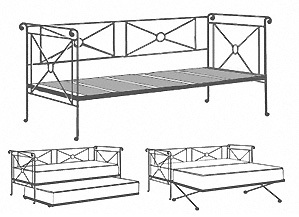 Platform Beds include frame & upholstered platform. Trundle option sold separately. Mattress and trundle are NOT included and are sold separately. Distance from back edge headboard to front face of footboard. Maximum dimension from left side to right side. Height of headboard from floor to top. Height of footboard from floor to top. Open space under bed frame or distance to top of upholstered platform.